Good ideas don’t deserve to die. when you implement this powerful, proven strategy. 90 Minutes. 1 Bulletproof Game Plan. Let’s design your plan to slay your biz game now. Every day, I see brilliant friends, clients, and colleagues (like you) with gold nuggets rattling around in their brains. 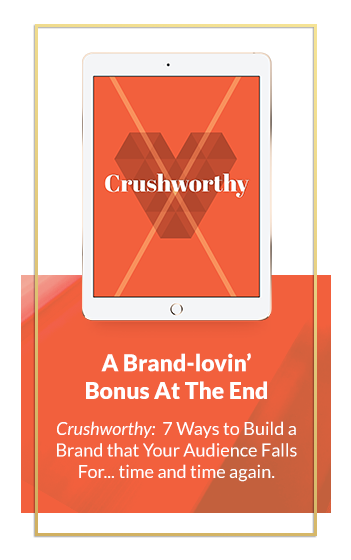 These are ideas that can generate more revenue, followers, and impact than they can imagine. They talk about it. Daydream about it. But besides the fear that hold many back from truly putting themselves out there, it’s another “F” word that gets in the way, and that’s “Function”. Your brand and your products are not functioning because it’s just not as simple as launching or creating a new product. It’s about blowing past all of that with a time-tested strategic, actionable plan that will get you REAL RESULTS. There’s only one cure for the fear + function problem: A bulletproof, expert-led, fearlessly strategic game plan. to create real results, for good. high-octane strategic planning to get you seen, heard, and paid. Sign up now. It’s FREE. Let’s move you from idea to action. The strategic steps guaranteed to create velocity in your business, if you apply them. every single brand launch we execute. I know this is possible, because my team and I do it for every single brand launch we execute. Stop wishing, wondering or wanting what THEY have. *Buzzer sound* Nope, wrong. Launching is like having a baby: while it’s not complicated, it sure ain’t easy, and it takes a village. No way! Failure is a good & necessary tool. The key is to fail fast and fail with intention to collect valuable information. Damon John (from Shark Tank) says: “I don’t fail. I get data.” Data = power. Michael Jordan was cut from his varsity basketball team. Steve Jobs was fired from Apple. Tim Ferriss’s manuscript for his bestseller “The 4 Hour Workweek” was rejected 26 times. Not exactly. Technology is one component, and it’s the easiest to learn. 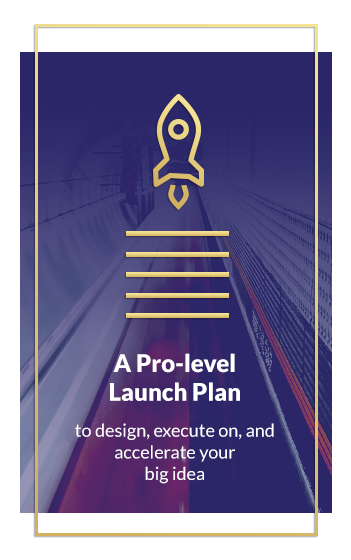 In fact, in this virtual incubator, I’ll give you my soup-to-nuts technology blueprint on how to launch with the right tools. It’s never a bad idea to put your best foot forward. But at the end of the day… results matter. And bigger results require bigger thinking, period. Which is why I created this incubator. Well, you could, but you’d not only miss a ton along the way (your sanity included), you will likely lose your motivation too. Grace, grit, and gumption are required to make big things happen – and the best way to get it done is with accountability and support. Why this, Who for, What now? Because the ONLY difference between you and that social media darling making serious moolah is action. They launch idea after idea, ditch what doesn’t work, and expand on what does. Great ideas are awesome, but if you don’t build + launch them, your brilliance is going a whole lot of… nowhere. Yes, it takes time, energy, and focus to do that, but you can do it. And the results will blow you away. Truth: every launch is a challenge. Most people don’t know where to start. But you will, because I’m going to show you how to do it in a way that will make sense and pay off for you…finally! Who’s Your Trainer and Guide? Here’s the deal: for the last 17 years, I’ve helped small business owners and global corporations alike build their brands, launch products, and ramp up their impact and revenue like never before. Yes, I’ve finally pushed my business (and many of my client’s & student’s businesses) into that coveted top dollar range. But you know what? I’ve failed a lot too. For one example, in 2007, I left my corporate ad agency job working with the biggest brands in the world to carve my own path in retail marketing. It went well (at first), and I was a millionaire by 33. Then… the recession hit in 2009. And I lost everything. My home, my marriage, my business. I cried (buckets) moved in with my grandmother, pawned my designer wardrobe for $1800, and eventually… decided to start over completely. So I founded KemComm, turning my focus to growing small businesses into empires. Which brings us to the here and now. Because the ONLY difference between you and that social media darling making 6 figures is action. They launch idea after idea, ditch what doesn’t work, and expand on what does. Who’s Your Trainer and Guide? Here’s the deal: for the last 17 years, I’ve helped small business owners and global corporations alike build their brands, launch products, and ramp up their impact and revenue like never before. But, while I’m running a million-dollar business teaching people to push their profits into the 6 and 7-figure range: I’ve failed a lot too. For one example, In 2007, I left my corporate ad agency job working with the biggest brands in the world to carve my own path in retail marketing. It went well (at first), and I was making 7 figures by 33. …and literally hundreds more who are pushing their businesses into epic next-level profit margins and revenue. Are you ready to do what they’re doing and become who you want to be? Then it starts with this first step now. 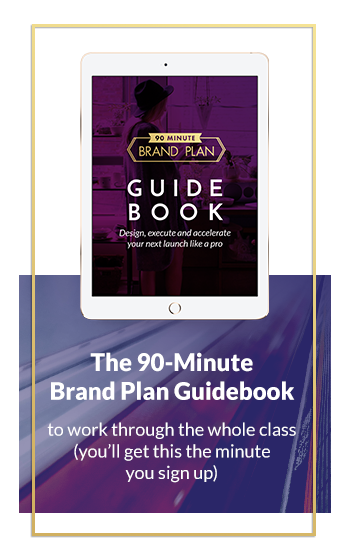 Drop your name and email to get your 90-Minute Brand Plan Guidebook + reserve your seat in the FREE virtual incubator now.